One of the most anticipated racquets in a long time is set to release this month! 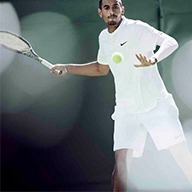 The All-New Wilson Clash racquet line is set to come out February 15, 2019, and Pre-Sale begins Friday February 8, 2019, available at https://www.tennisplaza.com/racquets-wilson. 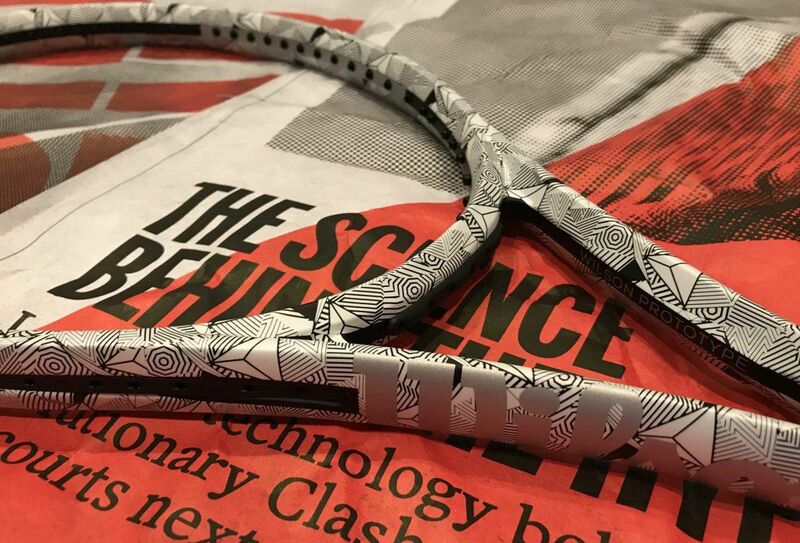 Wilson did a fantastic job marketing by giving the Clash a unique cosmetic for the prototype version, along with holding off on releasing its specs when released for testing in 2018 gave the racquet a mysterious aura about it that grabbed the tennis world by storm and was everywhere on social media from Instagram, Twitter, Facebook, and even Youtube. 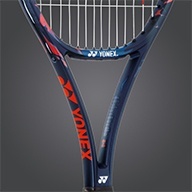 Initially released with only two models the Clash 100 and the Clash 100 Tour you can expect more versions coming out in the future with varying head sizes and weight because Wilson believes that this racquet can revolutionize the tennis racquet industry. OTHERS PROMISED REVOLUTIONARY, Clash actually delivers with the world’s most flexible racket that doesn’t compromise stability. Clash is twice as flexible as the leading Racquet- all without compromising stability for wickedly powerful and precise shots. Both made possible by Freeflex and Stablesmart technologies. FreeFlex: A revolutionary technology that makes Clash the world’s first racquet intentionally engineered to bend with any swing style. 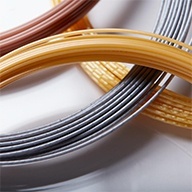 Both traditional, horizontal strokes and modern, vertical ones are enhanced through a proprietary carbon mapping system that unifies carbon at unconventional angles throughout the racquet’s frame for a higher degree of flexibility both vertically and horizontally. This system allows the racquets to bend with any swing style to better pocket a tennis ball and control the release of the ball as a player follows through with their swing, allowing players to swing freely and confidently with maximum ball pocketing and ultimate control. StableSmart: Unique frame geometry, designed through digital simulation, provides best-in-class stability and power for the most flexible frame in tennis. 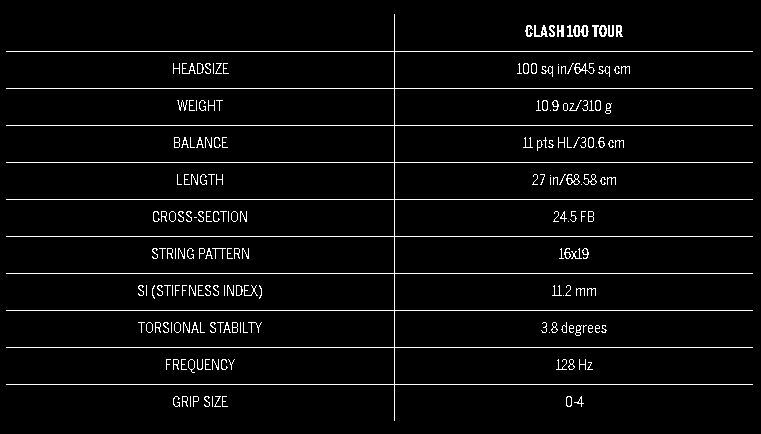 Both of these technologies combined help make the Clash 100 be THE MOST FLEXIBLE RACKET EVER. Clash has the flexibility of wood mixed with the stability of carbon fiber. Its Stiffness Index (SI) of 11.2 (which measures flexibility) coupled with a Tortional Stability score of 3.9 is a combination never seen before. 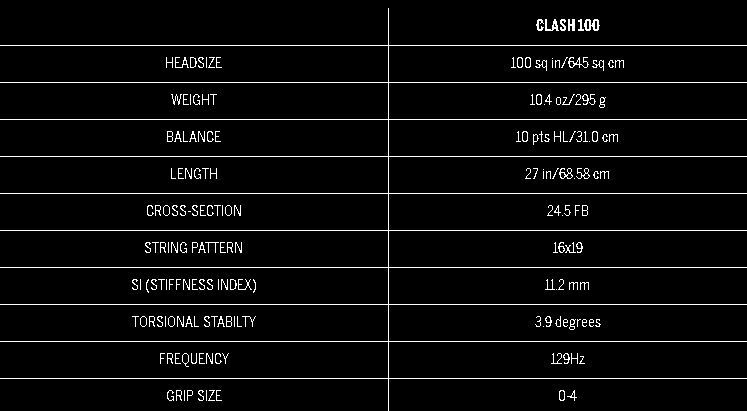 With such a revolutionary racquet being released, this is why Wilson left so much mystery about the Clash specs during the prototype’s release because Clash delivers such a unique playing experience that specs become secondary. The only way to truly understand it is to play it.